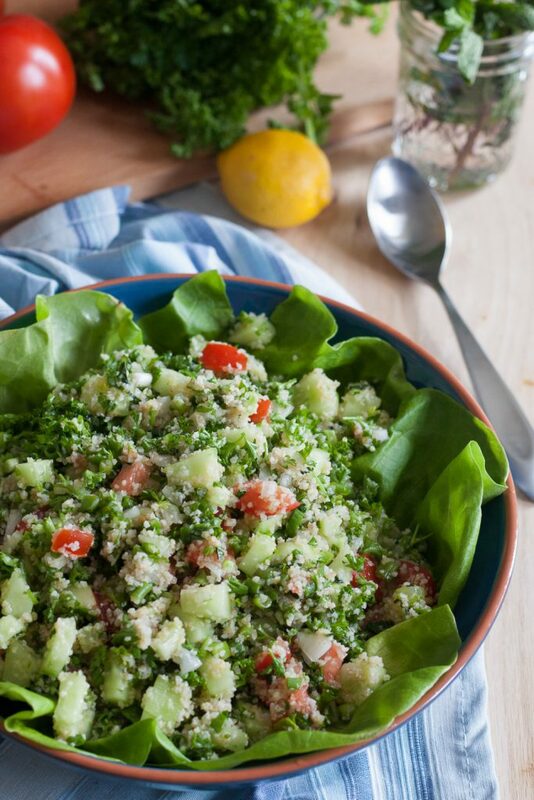 A classic tabbouleh salad recipe, made in the style of my grandmother. Bright flavors, fresh ingredients, and a beautiful presentation make this salad a favorite! Tabbouleh is one of those salads that I ate all the time growing up. 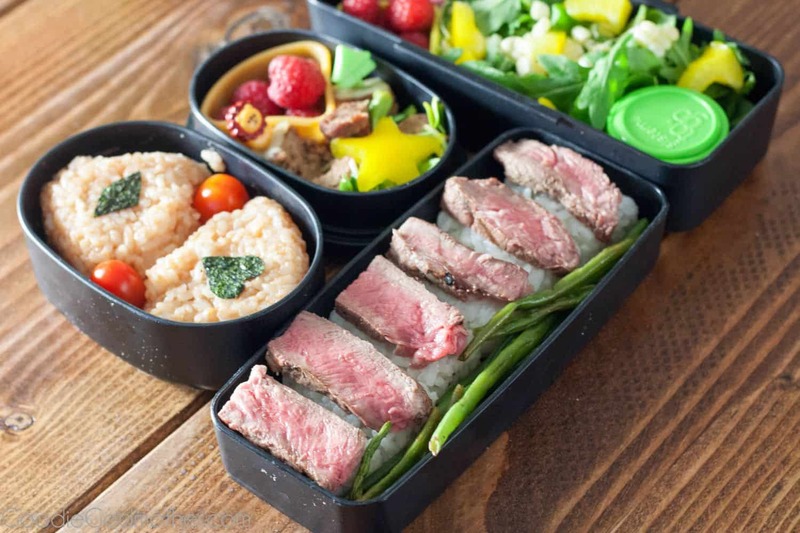 The ingredients are nutritious and the salad is so easy to prepare for a crowd. 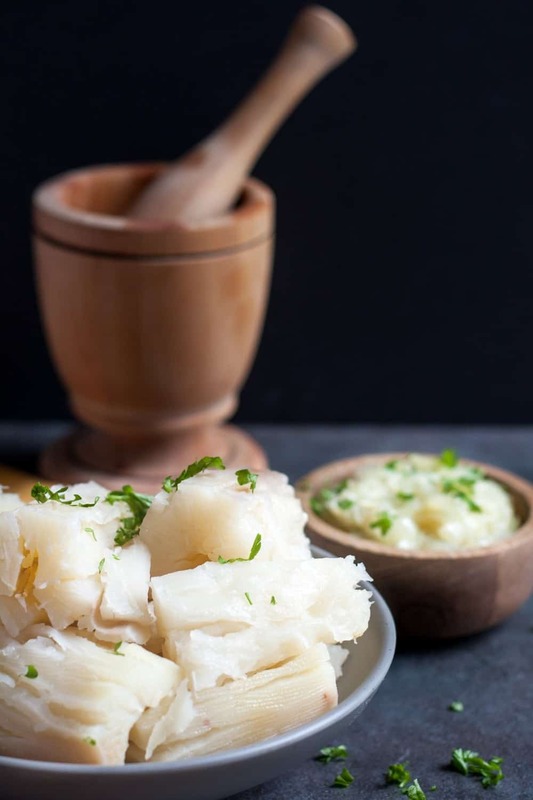 My mom or grandmother would chop the vegetables while soaking the wheat, mix everything together without measuring, adjust the dressing to taste, and serve. Sometimes it would be paired with a more classic Middle Eastern main dish like stuffed grape leaves, and other times, we’d eat it with takeout pizza. You knew who made the tabbouleh by the amount of each vegetable and the amount of lemon in the salad. Most of the time, anyway. The only thing that remained consistent was the parsley ratio. 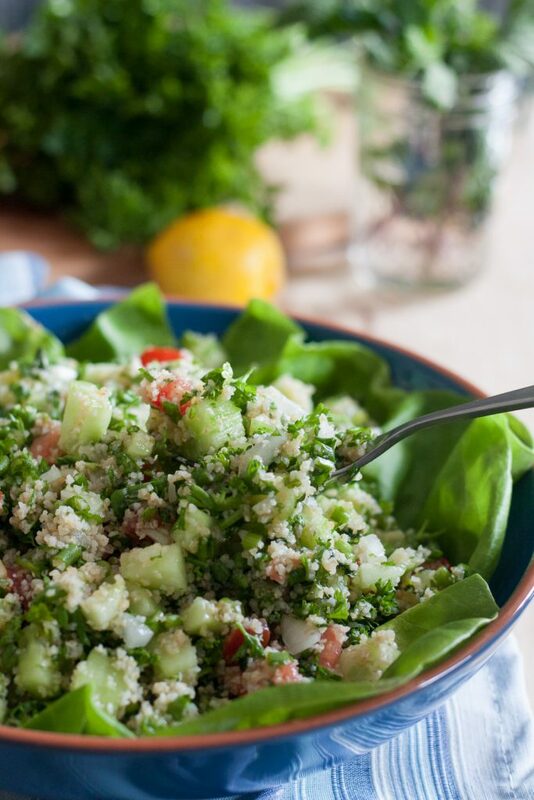 Most traditional tabbouleh salad recipes have a lot of parsley. As in, a bowl of tabbouleh is really a bowl of parsley studded with the other ingredients. Well, maybe not that dramatic, but you get what I’m saying. Actually, one time, my great aunt Margo (grandfather’s sister) was visiting and she made the tabbouleh. Very few people ate it because she used a lot of parsley. I remember everyone commenting about how healthy parsley is in an effort to get the kids to eat more. I think my grandmother didn’t really like a parsley heavy salad, so she never made it that way and no one was used to eating it that way either. I felt bad about it because Margo was an amazing cook. I wish I spoke Arabic and could have communicated with her. She was so sweet and everyone enjoyed her visits. 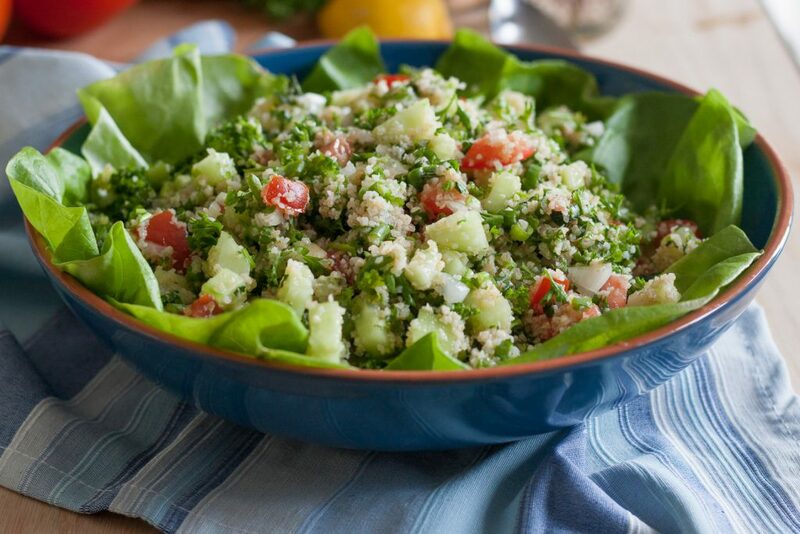 The point is, this is a more balanced classic tabbouleh salad with all the flavors, and a little less parsley. 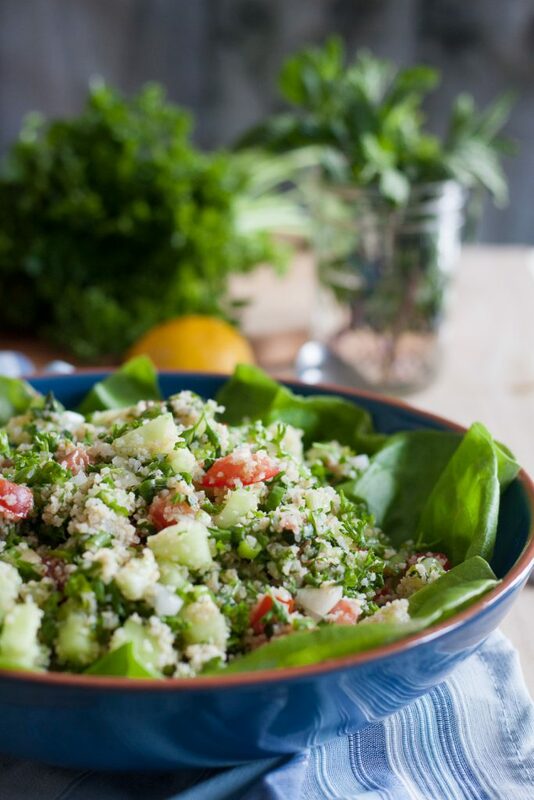 If you haven’t made tabbouleh at home yet, hop to it! 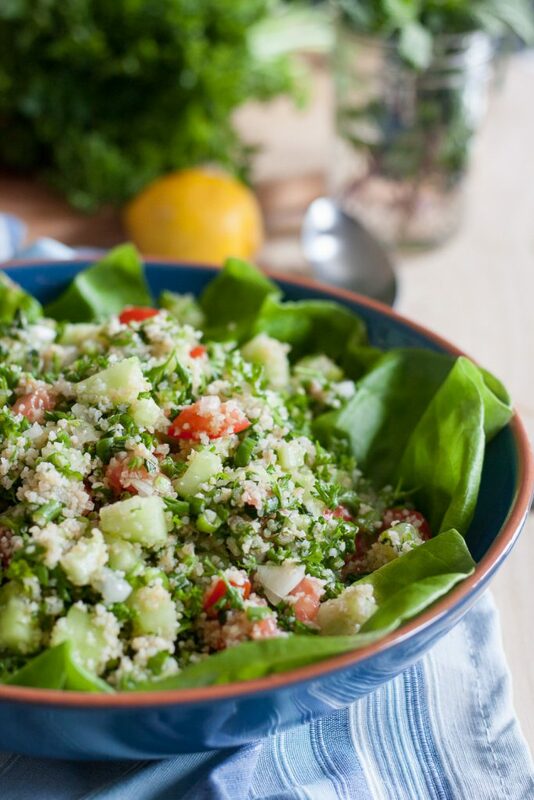 You’ll want to get some bulgur wheat, fine ground (#1), and enough vegetables to make this salad twice. Once won’t be enough. 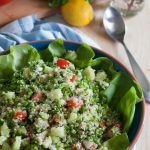 The best part is, once you know the general ratios for this classic tabbouleh salad, you can whip this up easily – no recipe required – in just a few minutes. For now I’m making it with vegetables from the market, but I can’t wait to use garden-fresh this summer! Enjoy, darlings! Place the bulgur wheat in a bowl with enough warm water to cover the wheat by half an inch. Set aside. Finely dice the parsley, scallions, tomatoes (remove seeds), mint leaves, onion, and cucumber and place in a medium mixing bowl. Squeeze the water out of the wheat and add the wheat to the vegetable bowl along with the olive oil, salt, and juice from 2 lemons. Stir to combine. Adjust salt and add more lemon if desired. 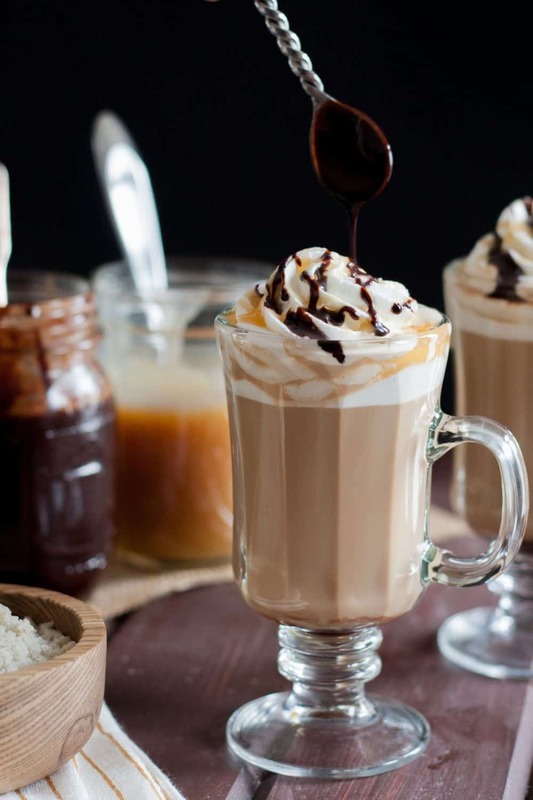 You may serve immediately, but I like to refrigerate for about 30 minutes to allow the flavors to blend. Best the day it's prepared.